I renamed the hue folder hue_custom in custom components and changed the references in configuration.yaml from hue to hue_custom. My ‘production’ HA is on 88.2 and it works and my development HA is on 89b3 and it works too? Thanks! Very odd this was my setup. I did a restore to a previous snapshot from 2 days ago and it now works. I haven’t changed anything in the last 2 days at all so no idea what was wrong. Hey i have updated in 0.89.0 i have done all the changes and the error before are gone. But i can‘t see any Sensor in my home Assistant. Has anyone some good advices please. Just updated to 89 and no light or temperature sensors. Just to add - I am on the latest vsn of the custom component and I have the updated file structure. Just noticed that there has been another change with this in that the platform has changed from hue to hue_custom (config edit & dir name). Look at the code in the post just above. This change is not on the github page yet. Hue motion sensors + remotes: custom component Share your Projects! I’m using the master branch on gitgub and it works for me. So what I had to do to get this working (I’m on the newest beta currently). Restart - and it works for me… binary sensors for the motion sensors, etc… Just had to use a template for the temperature - and use a formula to change it from Celsius to F. EVerything working as it should. I’d really love to see this component become native in HA. Have you considered submitting the component to them? In the meantime, after updating to 0.89.0, all states became Unknown or None. Hopefully this can be updated, preferably without “work arounds” as that only creates problems in the long run. 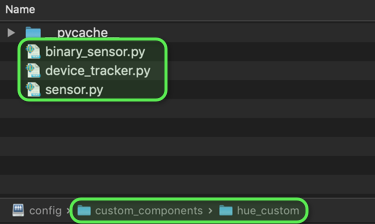 In any case my file structure that was working and is still working but with the warnings has been custom_components/binary_sensor/hue.py, custom_components/sensor/hue.py, and custom_components/device_tracker/hue.py. So I cant use the structure in the repo I have to use custom_components/hue_custom/ …and put the .py files in there. Looks like I’ll be stuck for the upgrades. I require this component. Problems after updating from [0.88.2] to [0.89.0]? 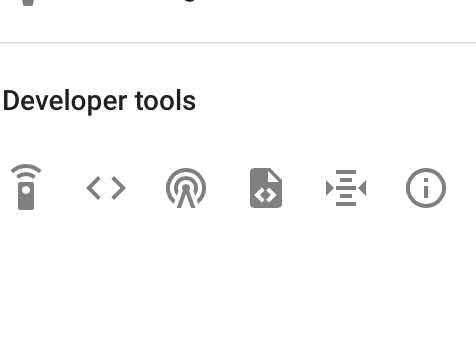 Correct, you have to create a new folder /custom_components/hue/ and move both files into it and renaming them correctly. That should normally fix your error. However, since the latest update to 0.89. It broke as well, and the temporary fix is in the link above.